Google Now is great, automatically feeding you useful content based on context like time and location. Problem is, it’s been limited to mostly Google-only products. As of today, however, the virtual assistant supports 40 new third-party apps. Now you can wake up to suggestions from Pandora, see suggested Airbnb rentals during a trip, or catch up on your language lessons with Duolingo (there are some sample cards here). Other supported apps include Lyft, Shazam and Runtastic; to view the full selection, check out Google’s list. The new integration certainly make Google Now much more powerful; the additional apps expand the domain of content the assistant can feed you.. 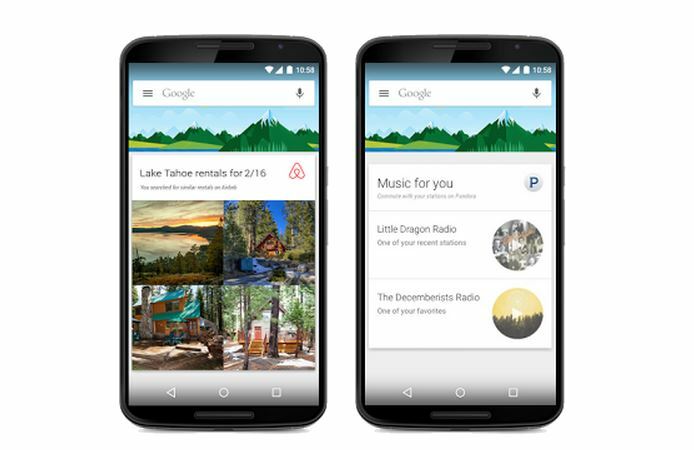 The cards are rolling out to everyone over the next few weeks, and Google intends to add new app partners over time.